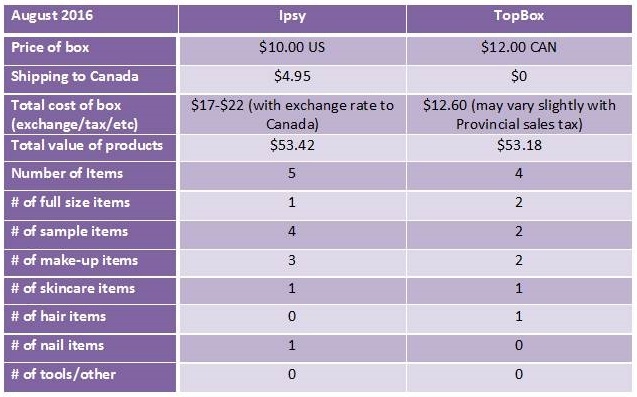 The value of this month's Ipsy bag was pretty average with what each month comes with; but the contents were just okay for me. There was a lot of great products that got sent out this month that missed me! I like the eyeshadow and the serum, the eyeliner is okay, but I have the nail polish colour and I won't use the bronzer. But, the actual bag itself is lovely! 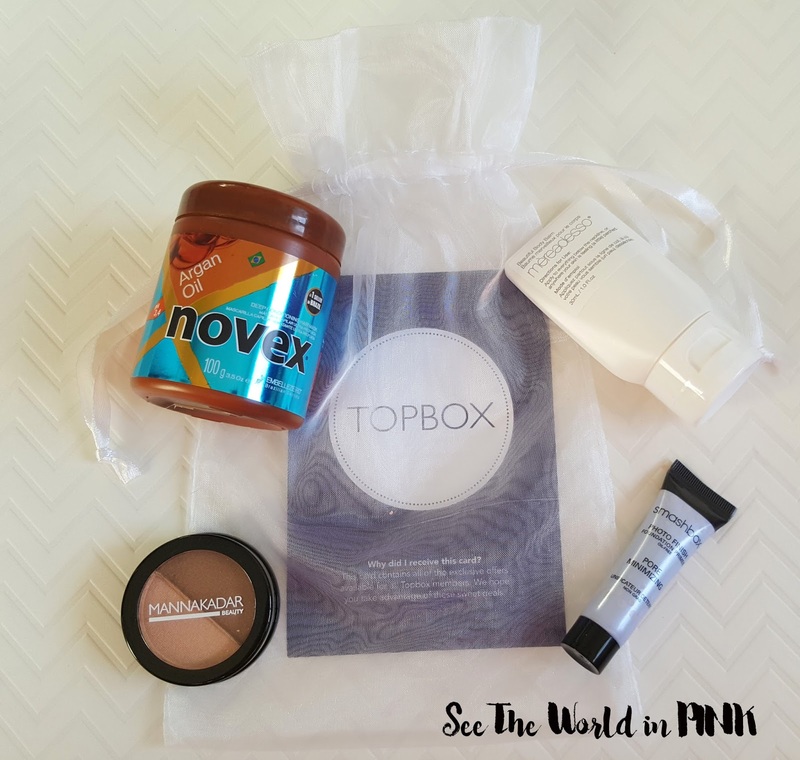 This month's Topbox value was quite high - a little higher than normally expected in a Topbox. This month didn't really wow me, but it was okay. I'm happy with the primer and the hair mask, but both had very similar products of the same brand recently sent out, the body lotion is fine, but I don't love the bronzer/highlighter shades. So just ok. Overall, I hate to say it, but neither subscription was a huge win for me. 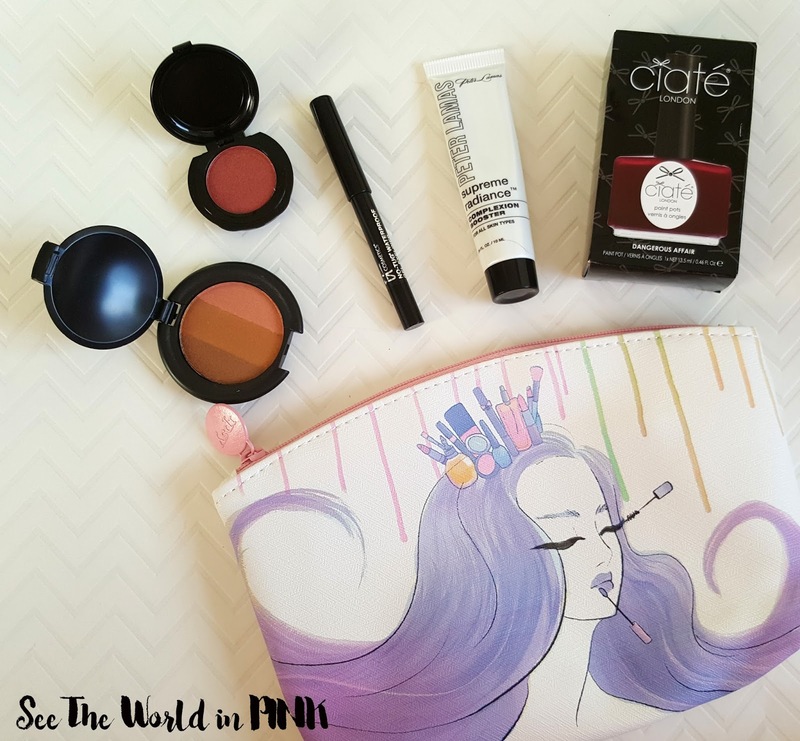 If I had to pick a winner this month, it would be Ipsy for the 2 products I really like and the beautiful bag!